How Can I Strengthen my Weak Arches with Exercise? Do you have weak arches? Have you ever experienced heel pain or foot pain without placing much stress on your feet? Do they ache without much effort? Do your arches bother you when standing, walking or tiptoeing to reach for something? Don’t worry if you answered yes to most of these questions. It is estimated that 20-30% of the general population has an arch that never developed. Weak arches can be caused by injuries, not wearing proper shoes, or by hereditary factors. The most common symptoms of weak arches are back pain, leg pain, and burning pain throughout the arch and heel area. How Can I strengthen my weak arches? Although weak arches do not threaten your health, they can potentially cause conditions such as foot pain, knee pain, back pain, and Achilles tendinitis. If you have concerns regarding your weak arches, there are ways to strengthen your arches. Wearing proper shoes: wearing shoes with arch support is considered one of the most effective ways to strengthen weak arches. Avoid unhealthy shoes: avoid wearing over-used shoes, unfit shoes, flimsy shoes, flip flops, high heels, and dress shoes for long periods of time. Wearing supportive arch supports: custom arch supports help combat over-pronation and promote better posture while standing, walking and running. Avoid becoming overweight: the more weight your feet support, the more pressure the bones, ligaments and tendons are forced to withstand. Which exercises can help me strengthen my my weak arches? With proper shoes and stretches you can strengthen and restore your arches. Here are a few stretching exercises to help you strengthen your weak arches. Stand arm’s length from a wall and lean forward against the wall with one knee straight and your heel on the ground. Slowly and gently, bend the opposite knee forward, being sure to keep one knee straight and your heel on the ground. Hold the stretch between 15 to 30 seconds and release. Repeat three times. Find a strong and sturdy table. Lean forward onto the countertop, spreading your feet apart with one foot in front of the other. Bend your knees and squat down, keeping your heels on the ground as long as possible. Hold for 15 seconds, relax and straighten up. Repeat three times. 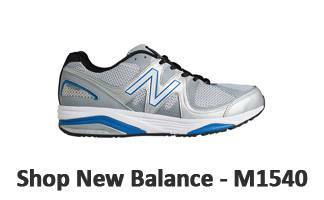 Which are the best shoes to help strengthen weak arches? The best shoe is the one that is fitted properly. At Lucky Feet Shoes, we have specialists that will help you get the correct fit. 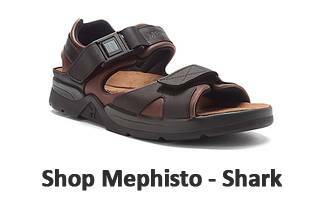 We also carry a wide variety of shoes and sandals to help strengthen weak arches. Many of the shoes and sandals we carry have large tow boxes which limits tight fits. Tight fitted shoes can cause excessive amount of pressure on your feet which can lead to ulcers. 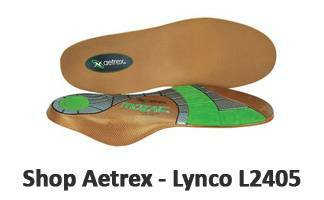 Which insoles are best to help strengthen weak arches? 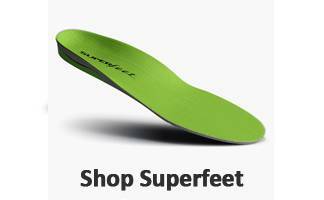 Lucky Feet Shoes carries a wide variety of arch supports for flat feet. 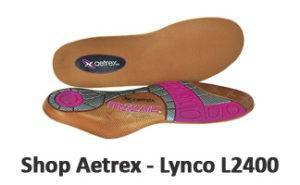 The best arch support to help strengthen weak arches will have good shock absorption and evenly distribute pressure across the foot. They will help relieve pain in the knees, feet, and hips. Where to buy best shoes for weak arches? At Lucky Feet Shoes, we carry many specialty shoes to help strengthen weak arches such as comfort shoes, sandals and slippers. If you are looking for shoes to strengthen weak arches in Orange County, the Inland Empire, Los Angeles County, Temecula or Riverside, we have six stores to serve you! 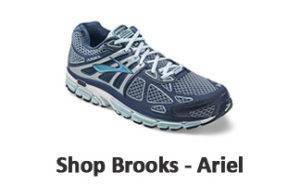 If you are looking for shoes to help strengthen weak arches arches in Anaheim, Anaheim Hills, Yorba Linda, Brea, Orange, Placentia, Fullerton, Irvine, Villa Park or Tustin; visit our store in Anaheim Hills. If you are looking for shoes to help strengthen weak arches in San Dimas, Glendora, Pomona, Covina, West Covina, La Verne, Azusa, Diamond Bar or Claremont; visit our store in San Dimas. If you are looking for shoes to help strengthen weak arches in Rancho Cucamonga, Ontario, Upland, Fontana, Rialto, Chino, Chino Hills, Mira Loma, Eastvale, Colton or San Bernardino; visit our store in Rancho Cucamonga. If you are looking for shoes to help strengthen weak arches in Riverside, Moreno Valley, Corona, Rubidoux, Loma Linda, Grand Terrace, Redlands or Norco; visit our store in Riverside. If you are looking for shoes to help strengthen weak arches in the Temecula Valley, Murrieta, Fallbrook, Lake Elsinore, Wildomar, Hemet, San Jacinto, Pala, Sun City, Menifee, Canyon Lake, Perris, Bonsall or Anza; visit our store in Temecula.